Panoramic tour around Old Havana in an American Classic Car. | Stops in the most emblematic places of the city such as: The Capitol, Chinatown, etc. | Panoramic tour around Vedado district in an American Classic Car. | Visit the Revolution Square. 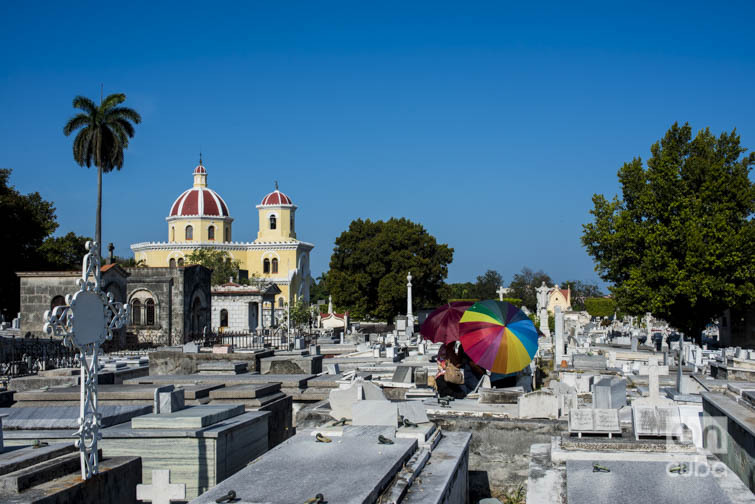 | Visit the Cristobal Colón Cemetery | Walk along La Rampa. | Enjoy a delicious ice-cream at Coppelia ice-cream parlor. | Panoramic tour around Miramar district | Visit the National Hotel. | Enjoy a Cuban cocktail. Exclusive-guided programming, including; unique handpicked people-to-people activities; insider access to Cuba’s famous places and those rarely seen; and private visits and lectures with Cuba’s renowned experts. **End-of-tour gratuities for the Cuban guide, driver, and tour leader are left to the guest’s discretion and should be based on your level of satisfaction with the services received. Imagine driving down a street in a vintage Chevrolet, Ford, Buick, Cadillac, Mercury, Dodge, Oldsmobile or Pontiac. Usually, you only see these types of cars in museums, not in Cuba though. 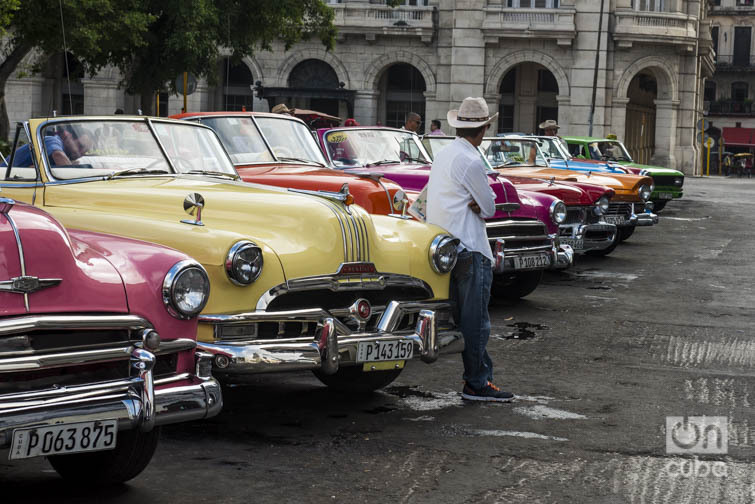 In Havana, the island’s capital, these are everyday cars and they have been for decades. You will have the opportunity to visit the Hotel Nacional and enjoy a refreshing drink. You will ride through Old Havana in an American Classic Car where you will have the opportunity to learn about some of the most iconic sites and the history of this charming municipality. You will have a chance to see age-old buildings such as the Iglesia de San Francisco de Paula, one of Havana’s most charming churches, fully restored in 2000 and now used as a concert hall. Among the most significant buildings here, you will also see Train Central Station, the main railway terminal in Havana and the largest train station in Cuba, considered a national monument for its architectural and historical values. Near the Havana Railway, and in other parts of the city, you can see pieces of wall arranged in succession. It is about the remains of La Muralla de La Habana; a stonework wall that went from La Punta to the Arsenal, with bastions, sentry boxes and doors with drawbridges. Resistant to time, they are decorated with a capricious vegetation and look like large stone mosaics. 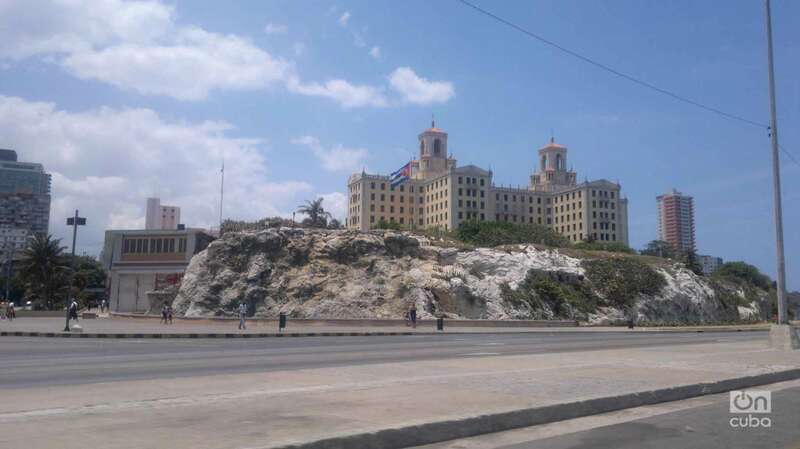 One of them, the most significant for its size, is located near the central railway station, in the vicinity of the Avenida Bélgica, known as “Egido”, on the corner of Desamparados, very close to the museum house where the National Hero of Cuba, José Martí. There is a large door, called the Arsenal and an embedded map that illustrates the structure of the fortification in its original extension. 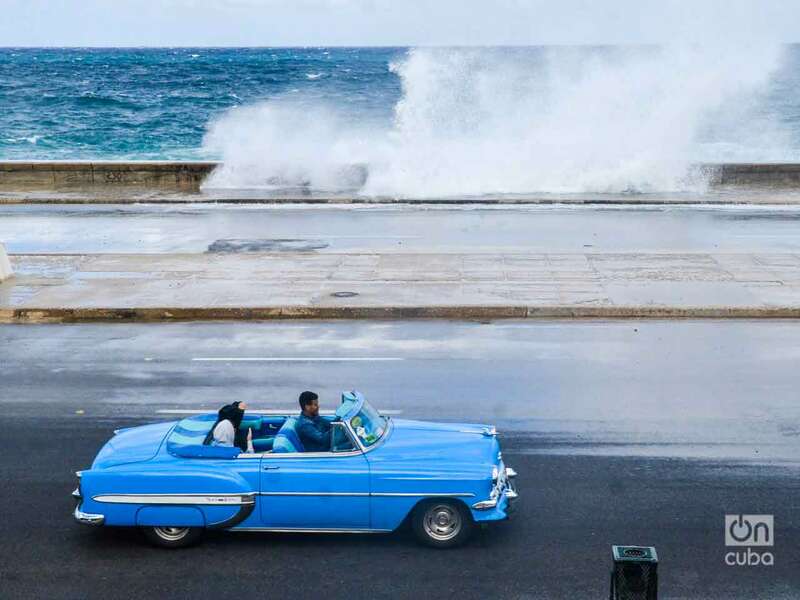 You will continue driving to some of the most iconic sites in Havana like the former seat of the Cuban Congress, the Capitol Building, which has housed the Cuban Academy of Sciences and the National Library of Science and Technology since 1959. The building’s work, which cost $17 million, began in 1926, and took 5,000 workers three years, two months and 20 days to build. Many say that the structure is similar to Washington, D.C.’s Capitol Building. Chinatown is another popular stop in Havana, where you will get a taste of Chinese culture on the island. You will also have a chance to visit the well-known Carlos III Street, built in 1836. The road connects the intersection of Reina and Belascoaín streets to the Castillo del Príncipe. Even though the street’s current name is Salvador Allende Avenue, the island’s residents keep referring to it as Carlos III, because of the statue of the Spanish king placed here in his honor. Here, you will also see the Veterinary Faculty of the University of Havana and the Plaza Carlos III shopping center, among others notable buildings. Afterwards, you will continues your panoramic tour around Modern Havana, where you will able to discover historical places like the Revolution square, famous among Cubans for being the venue of the most important historical and political events on the island, the National Hotel, the Habana University, the former Broadway Habanero (actual 23 avenue), you will able to walk along La Rampa and you can enjoy an ice-cream at Coppelia ice-cream parlor. You will have the opportunity to enjoy a view of Revolution Square, famous among Cubans for being the venue of the island’s most important historical and political events. Not many people think about visiting a cemetery, but according to recent reviews this is a must-see stop. Founded in 1876 in the Vedado district of Havana, and the burial site of Ibrahim Ferrer Planas, one of the most famous Cuban musicians from the original Buena Vista Social Club, the cemetery has been very well conserved and some of the tombstones are so impressive that they are even called works of art. You will also be able to enjoy the Avenida Paseo, with large trees on both sides and a wide promenade with topiary and benches, which is one of Havana’s classiest streets. There are luxurious mansions on both sides of the street, including Villa Lita (Museo-Biblioteca Servando Cabrera Moreno) and the former residences of Juan Pedro Baró (Casa de la Amistad) and Pablo González de Mendoza (Casa del Diplomático). In contrast to the bustling city of Havana, you will be able to experience nature in the Havana Forest, an ideal spot for taking pictures, which runs along the Almendares River and where many locals fish. Afterwards, you will continue your tour at Miramar neighborhood. 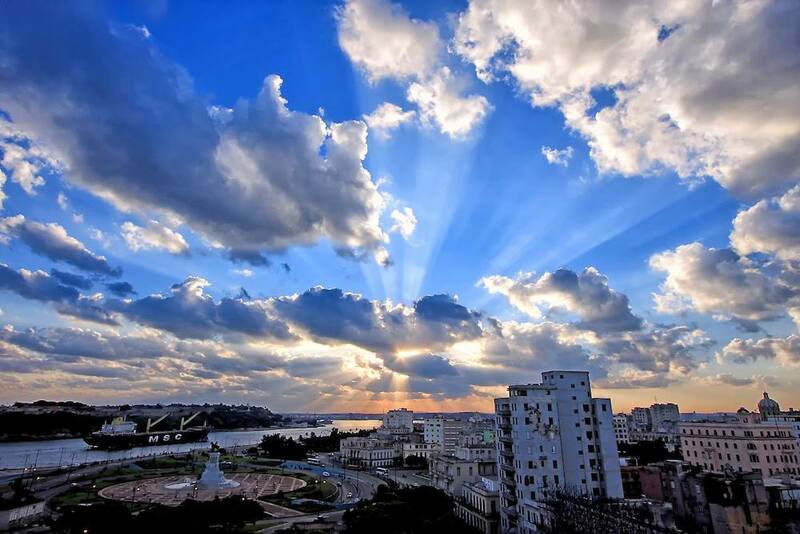 Miramar is one of the main residential areas of the city of Havana, capital of Cuba, in the municipality of Playa. The Cuban upper class lived here before 1959 in sumptuous mansions and houses with swimming pools, large courtyards and other amenities. Being located in front of the coast it made possible the existence of numerous spas, yacht clubs and social clubs of the wealthiest sectors. The stores were the best known in Cuba, such as La Copa, located on the central corner of 1st and 42. Its busiest and most important street, Fifth Avenue, with the same name as the famous New York street, is considered by many to be the most beautiful street in all of Cuba. Afterwards, you will visit the Hotel Nacional where you will enjoy a cocktail. Finally, you will return to the pier. Priced per person. Only one person needs to book it. This tour involves minimal walking, mostly on pavement, but there is a generous amount of stairs. The tour is not available to wheelchair guests. Guests are advised to bring a camera and a hat for sunny days. Two (2-3) guests per vehicle. Foldable wheelchairs and walkers are ok. Vehicles can be convertible or hard-top. This tour is OFAC compliant. Guests do not drive the car.